I really think that's a max spec figure. 100 feels sufficient and there has been some debate about whether it's 100 or 140. Toughsox, F8LZ71, White016 and 1 others like this. Last edited by JeffC; 04-12-2019 at 10:06 PM. Agree with you the 2 GM trucks I have purchased the details of a quality job were sloppy and unfinished. Funny to say the last 2 GM cars I got were well done. Best job by far the Mazda I have that was made in Japan. That's the UAW for yah, total joke I'm sad to say. Not sure what would bother me more....finding the bolt laying there, or on that was about to falloff and would cause a rattle that you couldnt pinpoint until it eventually fell out. That's the UAW for yah, total joke I'm sad to say. There is a balance that needs to be stuck between job security and disincentive for doing a bad job. redriderjf87 and White016 like this. JK, I think others caught it (spares fm accessory install) and w/warranty coverage - you're good. Congrats on that sweet ride & enjoy! Beauty truck . . [email protected]@ks like a nice bike there too ! Like another mentioned, the sports bar and lighting and possibly a few other options are dealer installed. So the zip tie thing, extra bolts, screws etc are all things that the dealer prep should have caught. The same goes for the windshield washer hose. Someone at the dealer did not do their job completely. Should have taken some pics as you found theses things, taken back to to dealer and showed both the sales manager and service manager what you found. Might have gotten them to throw in some perks plus whoever did the truck prep job would get "encouraged" to do it right. On the other hand, most dealers now pay dealer techs "per job" and PDI is one of the lowest paid operations a tech gets. Techs used to get a low hourly rate for their time being there and then additional for the job being done. Not making excuse for them, but maybe something needs to change in this. The pay for doing a PDI is one of the lowest at a dealer probably only undercut by the pay for doing the "free' oil changes GM makes a dealer now do. Talk about a disincentive. Paying a tech to do a time consuming PDI only a fixed small amount doesn't do much for pride in the job or employee family well being. Dealer service department jobs used to garner a decent wage and income. Sadly, not so much anymore. I've known several dealer service people who now have moved on to other work simply because of this. And yet the service department often is where the majority of $$$$$ is made for the dealer. Last edited by GraniteBlue05; 04-13-2019 at 02:48 PM. ZR2 EMT and F8LZ71 like this. Thanks! 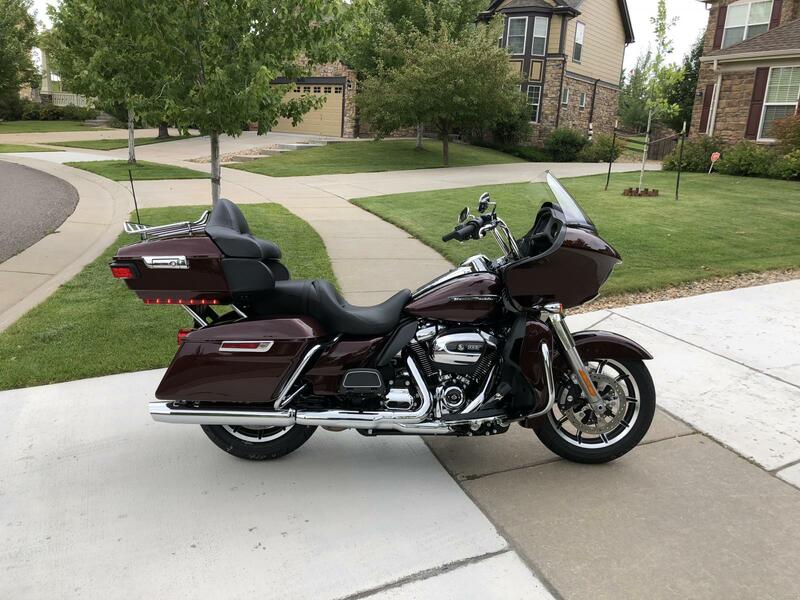 Bike is a 2018 Harley Road Glide Ultra in Twisted Cherry. Bought it last fall, only has 750 miles on it. Did the Stage 2 cams shortly after I got it. Usually in Colorado we have plenty of sunny and 50 degree days during the winter, but this year was very cold and it has sat a lot. I’m dying to put some miles on! There is a 4500 mile trip to California coming up in June though... can’t wait to get it on the open road! Here it is the day I brought it home. Last edited by Mudflap; 04-13-2019 at 12:31 PM. it seems like a norm with these trucks. I was installing shock mount skid plates the other day and passenger side had a washer on a shock mount bolt, but driver did not. Obviously, you are covered pretty well in the warranty department so I wouldn't worry too much about any issues that may pop up(there are bound to be a few). If I were you, I would at least complain to GM about these issues, and if you are really lucky and a little stubborn on the phone, maybe you could get an accessory credit or something. As for the dealerships completing jobs.... Yeah, the incentives gm provides for their techs to go above and beyond in order to keep customers happy, are non-existent. It's just the way they are paid. If they don't get paid for doing a good job and only get paid for the amount of jobs they get done, quality suffers greatly. My wife works at a dealership and even for us, it is difficult to get satisfaction. I checked mine just in case. Someone had a steering rack bolt that was loose from the factory.